Today, shuffleboard is a popular table-top game that is enjoyed in hotels, bars, game rooms and homes around the world. 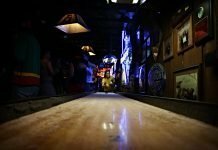 However, as with many other popular bar games, table shuffleboard started from humble beginnings and has a history that dates back to the 1500s. Although the game has evolved and become more serious over the years, the core elements that defined it have remained the same. Today, the social game brings people together and is played by people of all ages. Some ardent players organize tournaments from time to time, introducing minor changes to add an extra challenge. 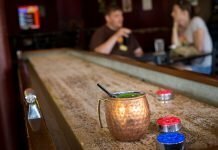 In this post, we’ll discuss the interesting history of table shuffleboard, starting with a basic overview of the game. To play table shuffleboard, you need an official shuffleboard table that measures 22 and 20 feet in length and width respectively. You can also choose to use unofficial tables with different dimensions. However, the table must have a smooth-finish and stand about waist-high. One end of the shuffleboard table is divided into three sections, with markings to designate a scoring area. The sides and ends of the table also have alleys, making the surface similar to a bowling alley lane and gutters. Players have to push a colored puck down the long and smooth table towards the scoring area on the opposite end. The shooting is done with the hand directly, with each player trying to get their puck into the scoring area while pushing their opponent’s into the alley. Players also have to keep their pucks from falling into the alley. 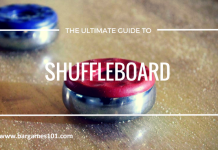 For a complete overview of the game, check out our complete guide on how to play shuffleboard. Back in the 15th century, the locals in England played a game of sliding a large coin, known as a “groat,” down a table. This game was called slide-groat or shove-groat. Among the domestic pastimes, playing at shovelboard claims a principal place. In former times the residences of the nobility, or the mansions of the opulent, were not thought to be complete without a shovelboard table; and this fashionable piece of furniture was usually stationed in the great hall. Shuffleboard matches were also played by English settlers in many of the colonies. In fact, the game was well-liked by English soldiers and colonists alike. 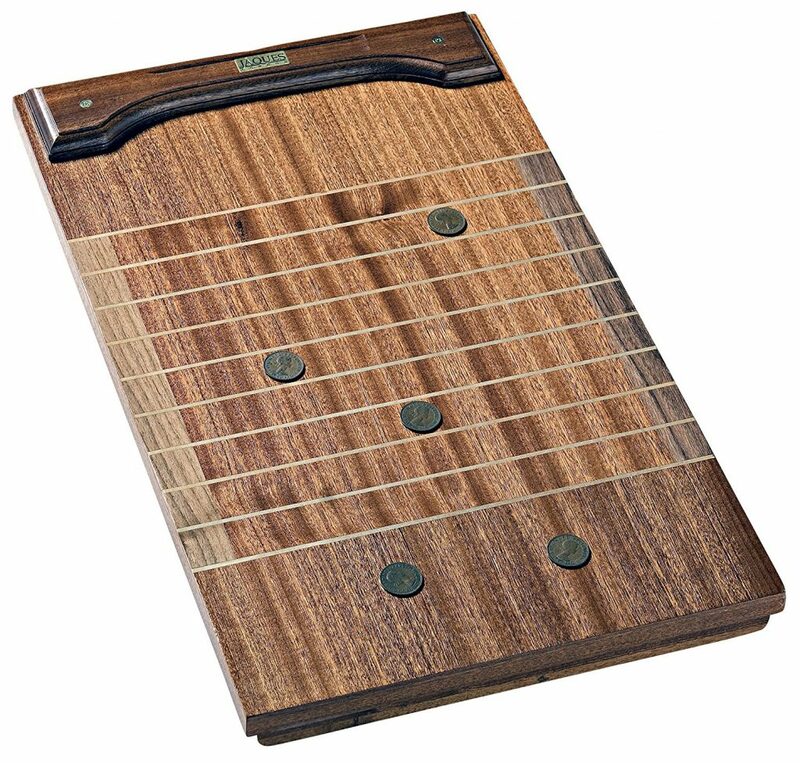 English settlers also brought knowledge of the simple, fun and competitive game to America. The love of the game was not limited to the upper class, with history revealing that shuffleboard was popular among the peasantry as well. Gambling on the game was also commonplace. Royal Privy Expenses show that King Henry the VIII lost 9 pounds to Lord William in 1532. While the king could play table shuffleboard whenever he pleased, he banned soldiers and commoners from doing the same on the grounds that the activity was too distracting. The King pointed out that the game prevented soldiers from concentrating on their training. However, instead of curtailing the game, this move propelled shuffleboard to greater fame and popularity. It was finally time for the game to make its way from the parlors where royalty played to the taverns and pubs where commoners gathered. 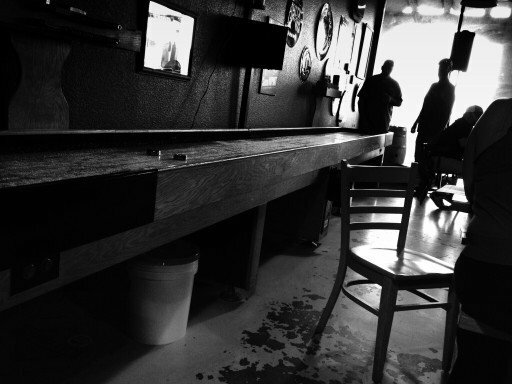 When English settlers introduced shuffleboard in the United States, the game gained popularity in bars along the East Coast. Rather than enjoying the classy reputation it had in England, religious people regarded it as an activity in which sinners were engaged. However, the mention of the game created a written record to show that by 1692, table shuffleboard had been introduced into the New World. As the years passed, the game grew in both fame and popularity, making its way into the public scene in many ways. In 1848, a case came up for trial in New Hanover, Pennsylvania. The case of “The State v. John Bishop” sought to establish whether shuffleboard was a game of chance or one of skill. The outcome of the case was to have a major impact, primarily making a determination whether or not it could be played at bars that did not have gambling licenses. After considering the facts, the judge ruled that the game was not a game of chance but rather one of skill. The ruling was music to the ears of a tavern owner who had been charged for operating a public gaming table. In a clear departure from its crude beginnings, the game developed in a remarkable way when American cabinetmakers like Hepplewhite and Duncan Phyfe made finer inlaid cabinet work on shuffleboards.These tables were meant for wealthy homes in the city of New York. By 1897, metropolitan newspapers in New York City were giving table shuffleboard as much publicity as baseball and prizefighting. There were highly publicized tournaments featuring top players, with hordes of faithful fans following players to watch tournaments in New Jersey, New York City, Philadelphia and other places. The fan base included prominent personalities drawn from the business, political and theatrical circles. Table shuffleboard continued to spread across the country. On the West coast, for example, Jim Corbett, an ardent shuffleboard player, requested a tavern owner by the name Croll to fix a table in his California pub in 1904. 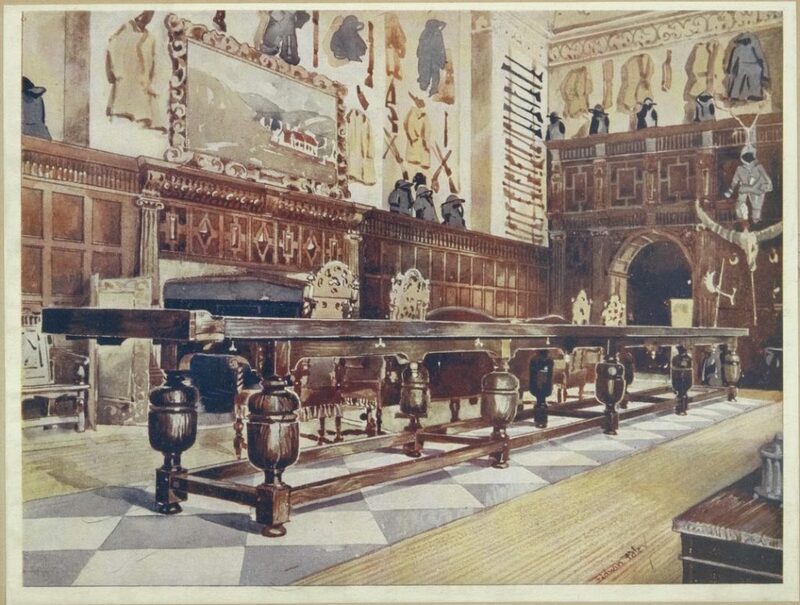 Croll’s son would later claim that this was the first table in that part of the country. During the 1920s, the game was prohibited. This move saw many taverns and saloons closing down and shuffleboard tables gathering dust. When the Great Depression came, several taverns and restaurants replaced dining tables with shuffleboard tables in an effort to attract customers. Although most people did not afford to eat out, they flooded the bars to play a game of shuffleboard. As much as these were turbulent economic times, the period led to the growth of the game. In fact, these are the years during which many shuffleboard leagues were formed. World War Two further contributed to the development and spread of the game. The availability of the activity to strong and disabled, old and young as well as the skill, competitiveness, diversity, fun and seriousness of the game brought a most necessary release during the stormy period. Troops that passed through seaports along the East Coast would stop by taverns and clubs to play shuffleboard. As they headed home after the war, the troops took the game with them, helping to spread it to different parts of the country. With time, Hollywood took up the game, mainly for purposes of publicity. However, several Hollywood celebrities got to like the game, with a number of them acquiring their own shuffleboards. The 1950s presented a period of what was perhaps shuffleboard’s astronomical growth. Majority of shuffleboard manufacturers started sponsoring tournaments, making the tournaments bigger than ever. One of these tournaments attracted total of 576 teams. The 60s and 70s were a challenging time for the game. There was increasingly aggressive competition among the main manufacturers and suppliers. Other challenges included difficulty in getting sponsorship for the sport, lack of standard rules and organization and internal discord across the game. During this period, table shuffleboard did not attract a younger crowd, with people in this age group turning to television and other activities for entertainment. While some people were afraid that the game was on its death bed, there are those who committed their time, talents and efforts to revive the sport they loved. By the mid-80s, the dedication began to bear fruit, with the sport coming back to life and similar efforts being seen in the 90s. Although communication, cooperation and organization had played a central role in reviving the game, the world of Shuffleboard has woken up to the realization that new young shooters will play an even more important role in the continuity of the game. In different cities and towns around the nation today, established shooters have made it their priority to develop the talents of novice players and nurture their eagerness and passion to participate in leagues and tournaments. Provided this remains a priority, there is no doubt that shuffleboard will be on the growth path. The NSHF remains committed to recognizing excellence for everyone in The World of Shuffleboard who deserves it. 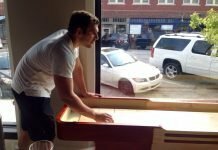 There have also been keen efforts to finance and build a place to preserve the history of the game so that future generations will have accurate knowledge and appreciate the rich history of table shuffleboard. To this date, a total of 12 people have been inducted into the National hall of Fame, with a good number undergoing the nomination process currently. Those in The Hall of Fame are PeeWee Ramos, Billy Chiles, Bob Miles, Glen Davidson, Bill Melton, Sol Lipkin, Mickey Mickens, Earl Kelly, Denny Busch and Jim Foran. 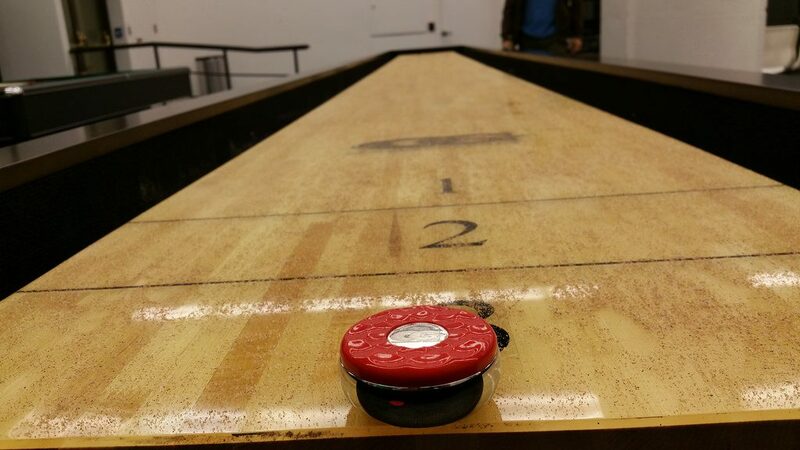 Table shuffleboard is not only a fun and challenging game but also one with an interesting history. From the palaces of England in the 1500s to bars across countries, the game has been a source of entertainment and enjoyment for hundreds of players and fans. 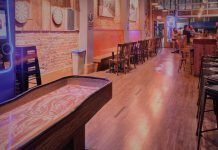 Table shuffleboard has grown in leaps and bounds to become available in bars, gaming facilities and stores that have these tables installed. 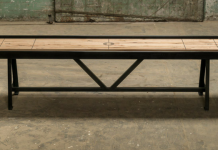 Today, you can get a fine, handcrafted table and have the same fun in your own home.